This new smart ring from creator Kelvin Bates is by far the most practical and real project on the crowdfunding scape, unlike countless other ones of such nature. We take a closer look at the ring and what makes it real, right after the jump. Smartwatches hold some rationality when it comes to justifying their existence and purpose, which is to make information available slapped to your wrist, but smart rings however are questioned more critically. 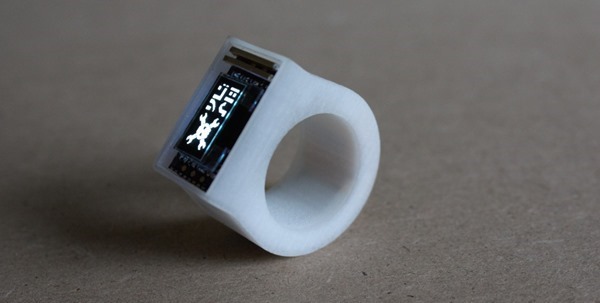 The Ö ring is a Bluetooth enabled wearable with a tiny 64×32 monochrome OLED display and a touch button. 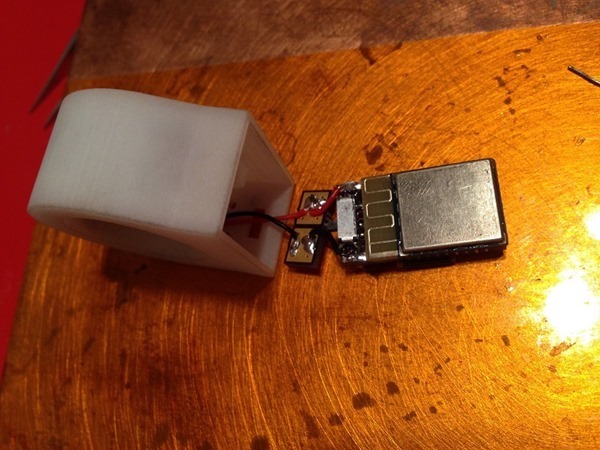 The ring is powered by a an ARM-M0 embedded microprocessor which happens to be clocked at 16MHz, and is more than enough for a device of this size and purpose. The chip also has an inbuilt 256KB of flash storage coupled with 16KB of RAM, a good portion of which is taken up by the Bluetooth communication software. At this tiny size, the ring is able to not only notify you of incoming messages or calls on your paired mobile phone, but allows you to interact with the notifications as well to allow the user to reply right from the ring. To help the ring sustain all those functions there’s a 40mAh battery packed into the ring which should help it last up to 4 hours, with the display being constantly on. According to the creators, the ring should have a standby life of over 24 hours. According to Bates, the final design for the ring has been submitted to various manufacturers for a quote on the estimate and the result seems to have pleased the team, with them working round the clock to manage the production of the first batch. 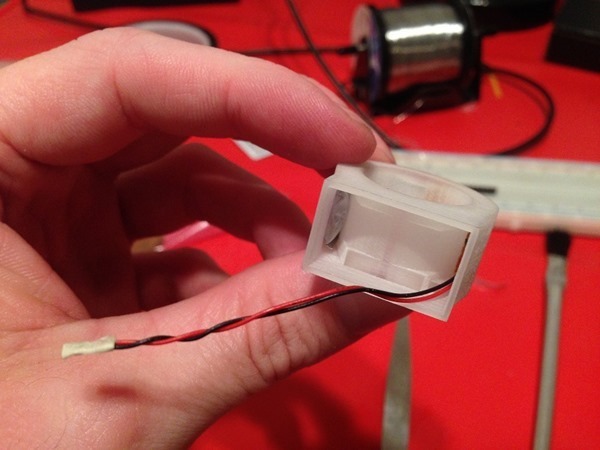 The team has put up a quick pictorial walkthrough on the Arduboy website, of how the ring is assembled together for developmental purposes which includes an enclosure that is 3D printed. The actual and final design will of course be much more polished and refined when it’s revealed as the team looks to process the first batch of the Ö ring. No word on when the ring should be expected to hit the market, but it is likely to happen soon if production starts in the next few weeks as subtly mentioned by the creators. Let us know if you would dish out some cash for a smart ring? That’s one big a*s ring!!! Lord of the Rings ftw. That looks crap compared to other wearables. Maybe target it to women and make it more like ringly. If you could make a display look like a gem stone it would be sweet.